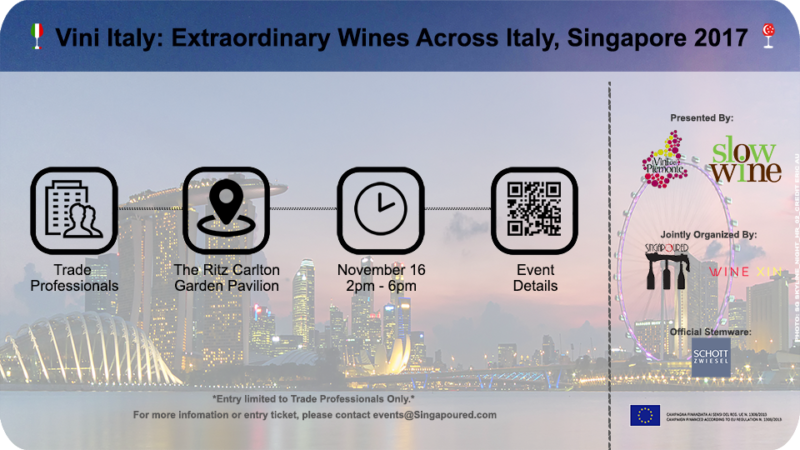 The Slow Wine Guide and the consortium of promotion I Vini del Piemonte are making their inaugural debut in Singapore! In partnership with Singapoured and Wine Xin, come learn and taste wines from 25 producers hailing from the regions of Italy. 16th of November 2017 do not miss this tasting to celebrate the great Italian Wine: producers will present their labels to the professional sector. An opportunity to get to know the producers, wines and the stories behind in a personal and professional way!